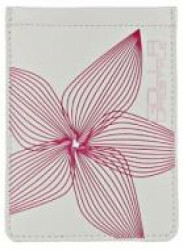 Golla Phone Pocket XL IDA White/Pink - G883 Spice up your mobile phone with one of these sparkling bags. If you're in the mood to make merry, show off your true colours with handy a golla mobile bag. All Golla Mobile bags offer your gadgets the fun and colourful protection they deserve. The regular golla Mobile bags come with an extra pocket perfect for small items such as earphones, change or credit cards. Golla is Generation Mobile - just like you and me. Golla brings colors and fashion to mobile life and helps you carry your gadgets with you, wherever you go. Generation Mobile is an urban tribe that is growing all over the world and changing the way how people move and keep in touch. Being part of Generation Mobile is a way of life and a statement of attitude. For Generation Mobile, life is all about freedom. We are living with the world at our feet. Whether it is a sms, a new picture on your blog or sharing favorite tunes with friends - Generation Mobile stays connected through technology while travelling the world. Golla has the simple idea of making the best bags for a mobile lifestyle. This is why Golla is the first choice of Generation Mobile worldwide. Golla is the original brand specialized in fashionable bags for portable electronics. By blending the creative influences of fashion, lifestyle and technology Golla is turning heads in over 100 countries. Golla bags are known for their wide array of colors, funky prints and good quality. Golla's complete collection includes an extensive range of bags for mobile phones, MP3 players, digital and SLR cameras, gaming consoles and laptops from 7" to 17"